You Can Quickly and Easily Create Sympathy Letters Guaranteed To Make A Lasting Impression! The skills of writing sympathy letters are seldom taught to us in school or home. Yet, so often we are all called upon to have this knowledge. You don’t want to say the wrong thing. You don’t want to write anything that offends. What do you say when someone has lived a long life and his death is not unexpected? Or when a colleague’s spouse has died of cancer? Possibly the hardest letter to write is to those that are dealing with the suicide of a loved one. Yet, the impact you make when you send a beautifully written sympathy letter is beyond measure. Never underestimate its power. What is it that makes them so special? Well, imagine two sympathy cards. The first card was simply signed, “with deepest sympathies” and a signature. Inside the second card, however, was a letter. A beautiful letter that talked about the deceased. Their special qualities. Why they will be missed. Which one will the recipient pull out time and time again and reread? While all sympathy cards are sure to be appreciated by the recipient, because you took time to do much more than sign your name to the card, it allows the recipient to know that you are really trying to be there for them in a special and personal way. The written word of sympathy and condolences means so much. Your caring and compassion will truly help create a deep bond of friendship, and help them through the healing process. "Grief shared... is indeed grief diminished"
The appreciation for your concern and support will come back and touch you for years to come. Heartfelt Sympathy Letters – Instantly will help you feel confident in your ability to write a sympathy letter that is both appropriate and meaningful. It contains 20 unique letters, all ready for you. 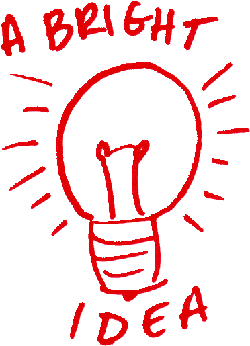 We have made it fast and simple for you to find the right words at the right time, avoiding those horrible clichés. No more staring at a blank sheet of paper, as you obsess over what to write. 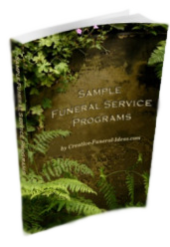 This insightful, sensitive guide is for the person who wants to make a lasting impression and who wonders what to say, and what not to say when writing a sympathy letter to a grieving friend, colleague, or relative. This book of Sympathy letters provides instant access to sensitive ways for you to communicate with someone who has lost a loved one. It's easy to get started right away. 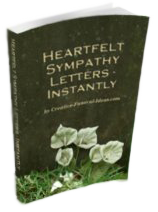 Just click here and you can have immediate access to all of the Instant Sympathy Letter Templates right on the spot. 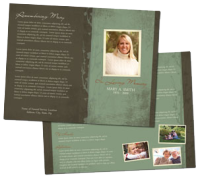 If you want to purchase sympathy cards, tiny prints is our favorite place to get them.